Last month, Paris asked Tokyo for help to save the Nissan-Renault-Mitsubishi Alliance following the arrest of Carlos Ghosn, the Brazilian-French national chairman of the automotive group who was arrested in Japan in November and stripped of his Nissan chairmanship on suspicion of financial misconduct. Renault chairman Carlos Ghosn is set to make an appearance at the Tokyo District Court on January 8 for an open hearing to demand that authorities justify his continued detention, Kyodo News reports. The court date will be the businessman's first appearance in public since his arrest for alleged financial misconduct in November. The former Nissan chairman has been in custody at a Japanese detention center since November 19, when Ghosn and his assistant, Nissan executive Greg Kelly, were detained on suspicion of multiple financial crimes. These include the underreporting of Ghosn's income by the equivalent of some $71 million over a period between 2010 and 2017, as well as a scheme to transfer his personal investment losses worth an estimated $17 million to Nissan in 2008. If convicted, Ghosn and Kelly will face up to 10 years in prison, a fine of up to 10 million yen ($92,200 US) or both. Kelly was released on bail on December 25 on bail awaiting trial. The terms of Ghosn's detention stipulate that he will be released until January 11 if prosecutors do not to indict him over the alleged breach of trust displayed through his actions. 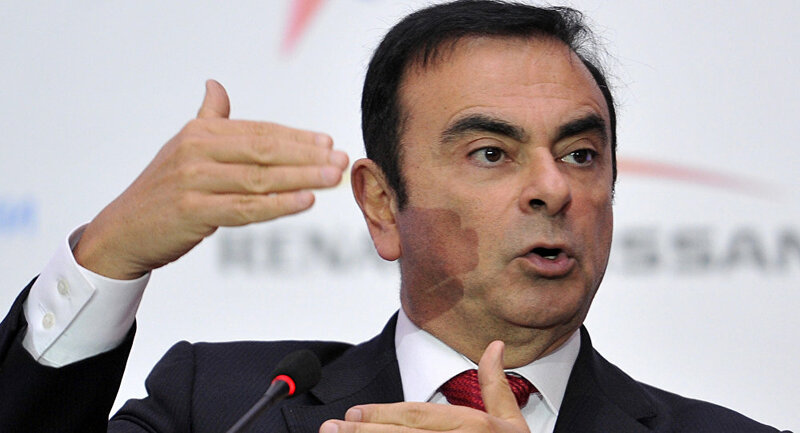 Ghosn has already received an indictment for underreporting his income but denied the allegations, saying his remuneration had not been officially fixed and were therefore not subject to obligatory declaration. Ghosn's arrest strained Nissan's relations with its French strategic partner Renault, where he remains board chairman and CEO. Nissan's board of directors dismissed Ghosn as chairman shortly following his arrest. Last month, French President Emmanuel Macron appealed to Japanese Prime Minister Shinzo Abe to help save the Nissan-Renault-Mitsubishi alliance. Macron increased the French government's stake in Renault in 2015 while serving as economy minister under President Francois Hollande. Nissan expressed concerns at the time that Paris's move meant that the Japanese automaker had been placed under partial control of the French government. Renault currently controls over 43 percent of Nissan's shares, while Nissan holds just 15 percent of Renault's shares and has no voting rights. The Renault-Nissan-Mitsubirish Alliance was founded in 1999, and is one of the world's leading car manufacturers, selling over 10.6 million vehicles in 2017.